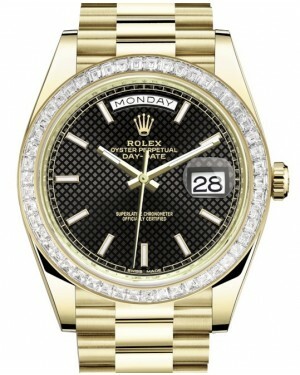 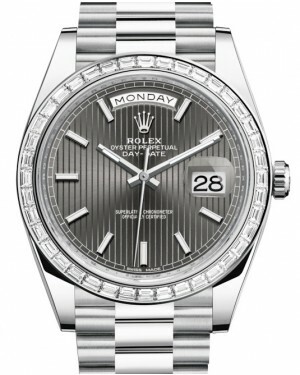 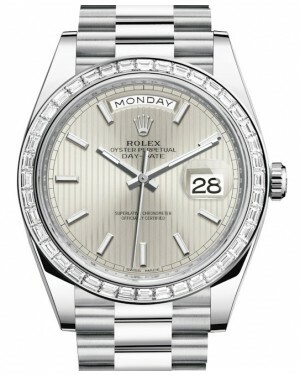 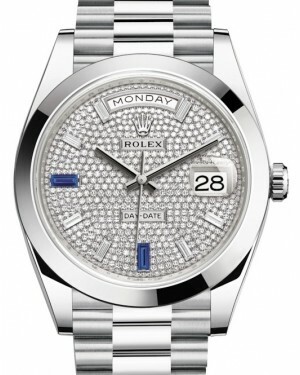 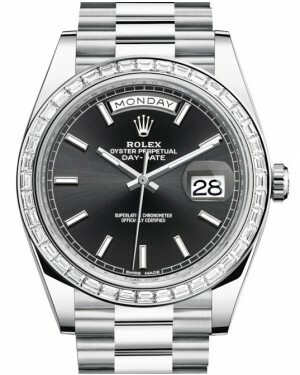 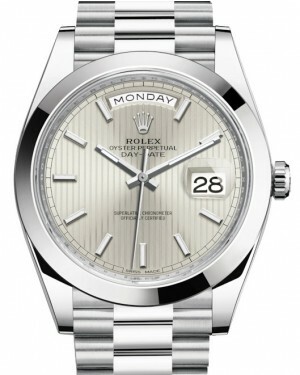 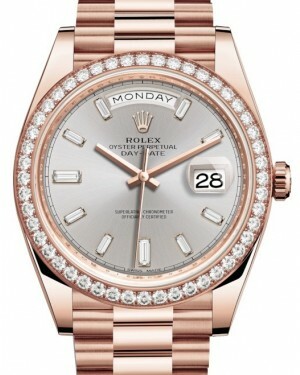 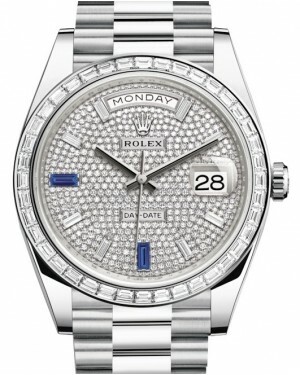 The Rolex President Day-Date 40 is the latest model in a line historically worn by US Presidents and other world leaders. 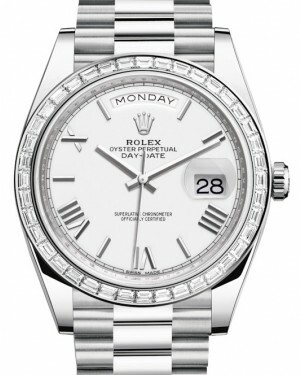 As its name suggests, the watch has a new 40mm case size, but stays faithful to its heritage by displaying the full day and date. 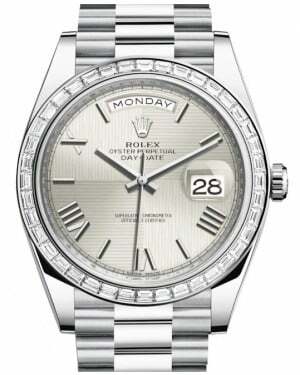 Other improvements on its predecessors include a 70 hour power reserve and a more pleasing dial texture, new calibre 3255 movement. 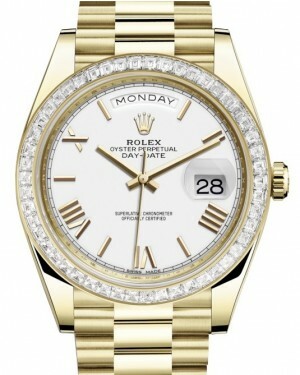 Available in either gold or platinum, the Day-Date 40 respects history, embraces innovation and stands as a symbol of excellence. As the latest model in the Day-Date line, your Rolex President Day-Date 40 is an extremely valuable watch, which exudes style, sophistication and influence. 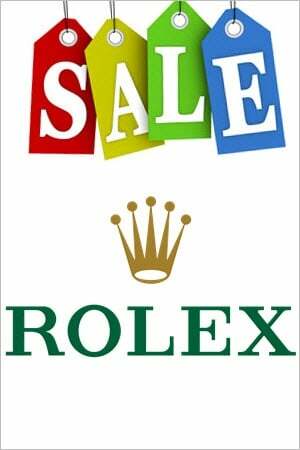 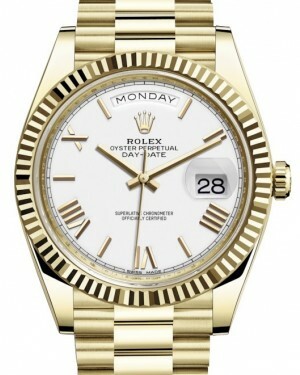 There are over 100 different Rolex Day-Date 40 President watches. 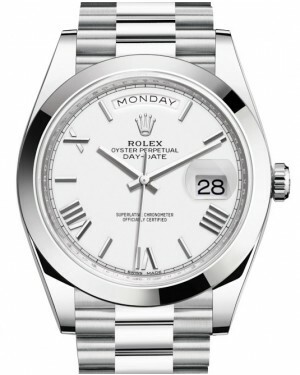 There is no Day-Date 40 made from Stainless Steel. 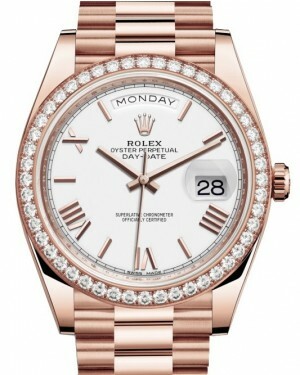 You have the option between Platinum, White, Yellow or Rose Gold. 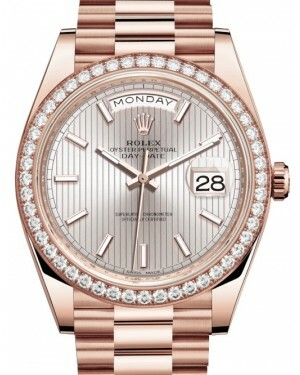 Platinum and White Gold are not as easy to differentiate as Yellow or Everose Gold. 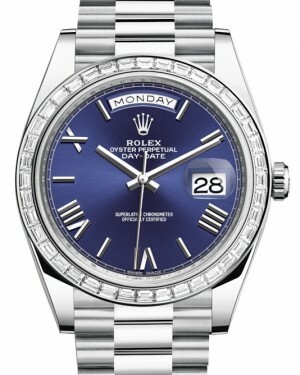 Certain dial colors are only available with a corresponding Material. 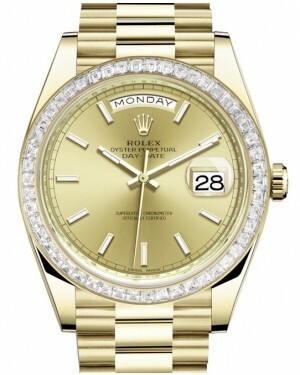 The champagne (golden) dial is only available with yellow gold Day-Date 40 watches. 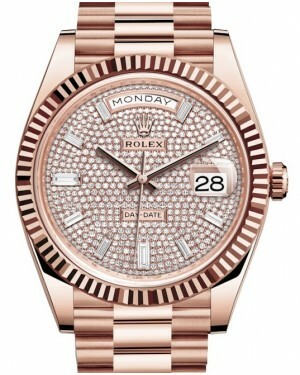 If you want a Chocolate or Sundust colored dial you have to choose a rose gold President watch. 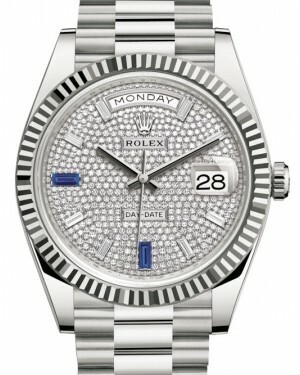 Smooth bezels on the other hand are only available in Platinum. 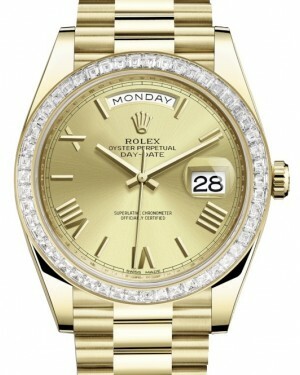 All gold Day-Date 40 Rolex models have a fluted bezel.